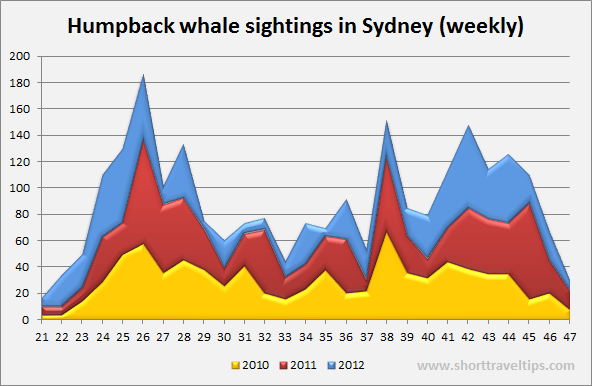 The whale watching season in Sydney is quite long (May-November), but it is not always very busy. It is clear visible two peeks in the season. In June/July humpback whales migrating North for breeding in the waters of the Coral Sea. From end of September until December they are going back South to the Antarctic feeding ground for the southern hemisphere summer. At this time of year females with new born calves usually are seen closer to the shore. 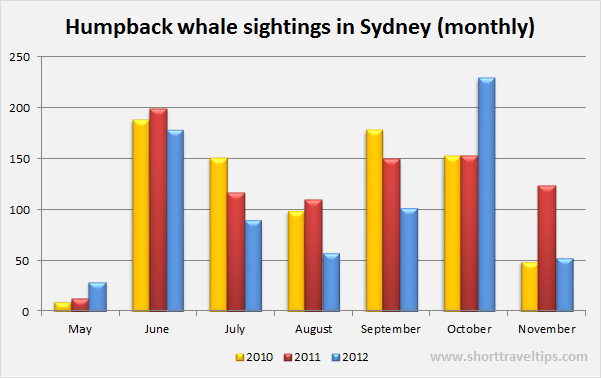 End of June/July and then October is probably the best time of year for whale watch in Sydney. In Sydney you can see other kind of whales too, but are much rare then Humpback whales or Southern Right Whale. Some people are lucky to see very rare Bryde’s whales, killer whales (or else known as Orcas), also False Killer whales, Minke whales. 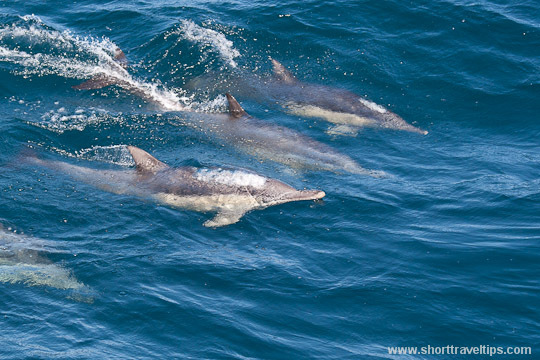 You most likely also will see Pacific and Bottlenose dolphins. 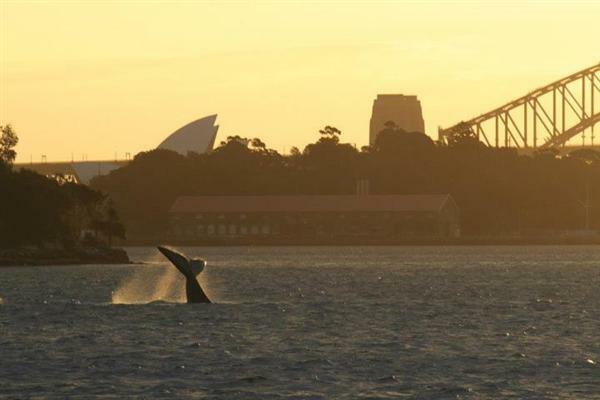 What time of the day is better for whale watching in Sydney? 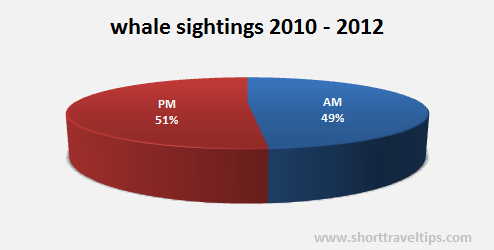 Five years ago it was huge difference between morning and afternoon sightings as you can see in this chart. It probably was just a glitch in sightings recording as by looking to whale sightings of 2010-1012 it doesn’t matter when you go. It is almost the same in the morning or afternoon. I think it is because most whales are not staying around Sydney but migrating and you can see them when they passing by and time of day is not so important. Whale sightings numbers for above chart are taken from this page www.whalewatchingsydney.net/whale-sightings. I just decided put numbers into more convenient form. Southern Right whale in Sydney harbor was taken by Tammy.